Conan O'Brien hits the road for the first time since 2010! Why See Conan O'Brien and Friends? Late-night TV star, comedian, writer and producer Conan O'Brien is hitting the road for the first time since 2010, on a nationwide comedy tour promoting his upcoming 'Conan Show'. 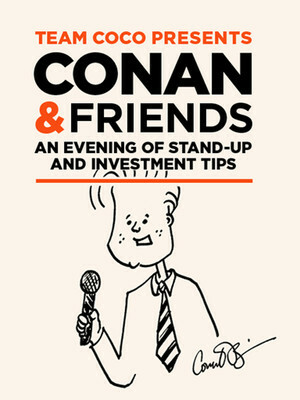 Team Coco Presents Conan and Friends: An Evening of Stand-Up and Investment Tips hits 18 cities, kicking things off in Washington before wrapping up in San Francisco after seven weeks. Each night Conan will be joined by various artists, including Deon Cole, Rory Scovel, Taylor Tomlinson and many more. This is a comedy tour you don't want to miss out on! 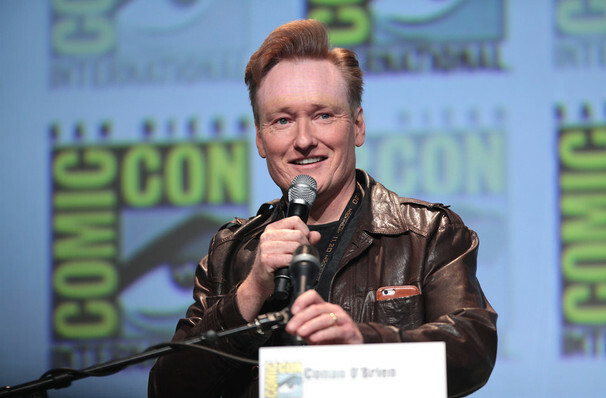 Best known for hosting several late-night talk shows, Conan also wrote several comedy shows in Los Angeles and joined the writing staff of Saturday night live. He's also well-known for his work on The Simpsons, before being commissioned on NBC to take over David Letterman's position as host of the Late Night. Conan acquired the nickname 'Coco' after it was given by Tom Hanks during a sketch of Conan's Tonight Show run. Sound good to you? Share this page on social media and let your friends know about Conan O'Brien and Friends at The Chicago Theatre. This is an independent website not affiliated with the venue. 'The Chicago Theatre' as well as all associated graphics, logos, and/or other trademarks, tradenames or copyrights are the property of MSG CHICAGO, LLC and are used herein for factual descriptive purposes only. This website is in no way associated with or authorized by MSG CHICAGO, LLC and neither that entity nor any of its affiliates have licensed or endorsed us to sell tickets, goods and or services in conjunction with their events. The term Conan O'Brien and Friends as well as all associated graphics, logos, and/or other trademarks, tradenames or copyrights are the property of Conan O'Brien and Friends and are used herein for factual descriptive purposes only. We are in no way associated with or authorized by Conan O'Brien and Friends and neither that entity nor any of its affiliates have licensed or endorsed us to sell tickets, goods and or services in conjunction with their events.